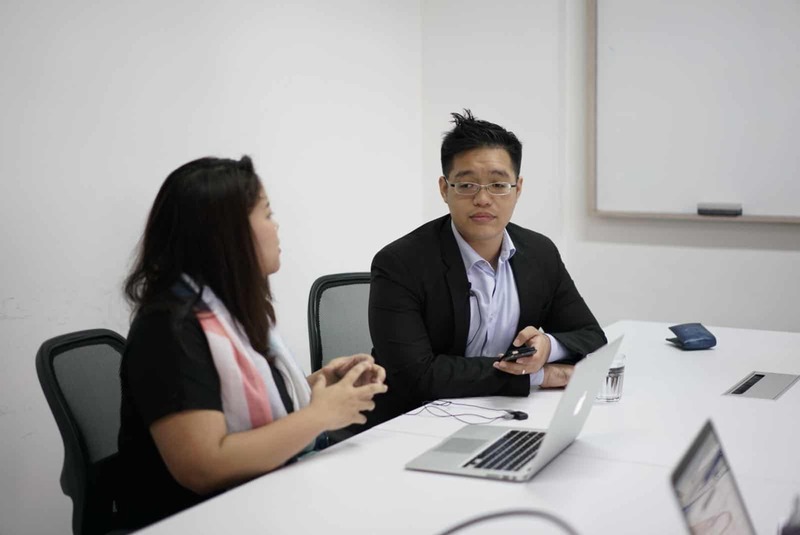 Asia Law Network recently held an FBLive session together with Project We Forgot to share legal planning practical tips on legal planning for caregivers to persons with dementia. Helmed by Chong Yue-En, a consultant with Dorothy Chai and Mary Ong Law Practice and Melissa Chan from Project We Forgot, they shared personal experiences and more information on the Lasting Power of Attorney. It can be taxing, emotionally and financially, for both the people with dementia and the caregivers. Adding to this is the lack of access to funds, properties or even business-related matters if there was no proper legal planning done previously. With this session, we hope to address why proper legal planning is helpful and important, not just for people with dementia, but for the general public too. People tend to start finding information online and many of these sources are from overseas. Are there any differences between Singapore’s law and that of other countries? Is there anything readers should look out for? Singapore’s laws on mental capacity are largely based on the United Kingdom’s (UK) Mental Capacity Act 2005. We are able to follow the good practices of UK in Singapore since we are based on the same principles of the law. As long as the person has the capacity to make decisions such as what to eat or wear and/or financial decisions, the person should be empowered to make as many decisions as he/she can. However, there have been amendments to the law in both the UK and Singapore and some information from the UK may no longer be relevant to the Singapore side. It is best to consult a lawyer if there are any uncertainties as the lawyer can provide you with guidance and the right advice. How do you know if the person can make decisions? Able to retain the information, for example, he/she can remember what you said 10 minutes ago. What is the difference between the Mental Capacity Act and the Lasting Power of Attorney? A Lasting Power of Attorney (LPA) is a legal document which allows a person (known as the “donor”) to appoint one or more persons (known as the “donee(s)”) to make decisions and act on his behalf if he loses mental capacity one day. The donor should be at least 21 years old and have the necessary mental capacity to create an LPA. The signed document is then submitted to the Office of Public Guardian. The LPA is an instrument is found under the Mental Capacity Act which is the act that governs all the laws in relation to and powers given to donees or deputies. What is the difference between a donee and a deputy? A donee is someone you appoint to be your representative when you lose capacity. However, if there is no LPA in place, and your loved one goes through mental incapacity, you will have to apply to the court to be appointed a deputy. There is a need for a deputyship application because once your loved one loses capacity, you could find their assets frozen and inaccessible. For example, if they have savings in a sole name bank account or if there is a need to use their CPF monies to pay for nursing home bills etc. In order to access these frozen assets, and since there is no LPA in place, you would have to be appointed by the Court to be your loved one’s deputy in order to have the legal authority to act on his/her behalf. The Court will then decide what powers you will have as a deputy. Do note that compared to doing an LPA, the deputyship process is much longer and more expensive. In general, setting up a simple LPA will just take around an hour and costs less than $1,000. However, a deputyship application can take 3-6 months or even a year in complex cases and it could cost an upwards of $5,000 not including disbursements. Prior to 2010, we could not make LPAs and many families had to go through a long process similar to a deputyship application Now that LPA is available, this whole hassle is not necessary. it is definitely a better option for everyone to plan ahead and make an LPA. My loved one was just diagnosed with dementia. What are some key things I should start doing? It depends on the spectrum of dementia that your loved one is in, it could be early onset of dementia to late-onset etc. For the early onset of dementia, where the person is starting to be forgetful, it would be wise for him/her to make an LPA while he/she still can make decisions. Once he/she had filled up the form for an LPA, the person certifying the LPA will assess if the person making the LPA has the necessary mental capacity to make decisions. At the same time, it is also good to encourage your loved one to start preparing a list of assets that your loved one has and file it away in an accessible place so that if something untoward happens, it is easier to keep track and manage the assets of your loved one rather than to hunt them down. Can an LPA be done without a lawyer? What’s the difference between the above 3 groups of people? Firstly, if you understand the risks and obligations of an LPA and have no further questions, you can consider engaging a medical practitioner to be your certificate issuer. However, you cannot expect the medical practitioner to give you legal advice or explain to you anything more than what is already on the LPA form. The same goes for registered psychiatrist too, they cannot give you legal advice or anything more than what is on the LPA form. However, in the event that your loved one, who is making the LPA, might have dementia or have fluctuating mental capacity, it is better to have a psychiatrist to be the certificate issuer. This is because in the event that someone challenges that your loved one did not have the necessary mental capacity to create the LPA, the registered psychiatrist can ascertain to the mental capacity of your loved one when he/she signed his/her LPA. For lawyers, helping people do their LPA is part of their bread and butter. A lawyer can provide legal advice and give you a complete overview of what you may need to do as well as the legal liabilities and duties that your donees would have to take note off. In light of the increasing number of cases where there are disputes over LPAs in court, it would be better to have a comprehensive overview of the legal matters you need to know before creating your LPA. Like a blank cheque, a simple LPA is easy to create, but at the same time, it empowers your donees with massive and broad-ranging discretionary powers. What is LPA Form 2? Thus far, when we were saying about LPA, we have been discussing about LPA Form 1. How a LPA Form 1 is different from an LPA Form 2 is that under the Mental Capacity Act, only lawyers are able to draft a LPA Form 2 and sign off as a certificate issuer. This is because a LPA Form 2 is more detailed than a LPA Form 1 in the restrictions and obligations that you would be imposing onto your donee. For example, you may have a will set up and in the will, it is stated that you would like to give a few properties to a few different beneficiaries. Under the LPA Form 1, you would only be able to restrict the donee from selling one property. However, with the LPA Form 2, you can prevent the donee from potentially selling all these properties by placing restrictions on the donee. Which point should we ascertain that we can or should make decisions for our loved ones? A donee, under the LPA, may only make decisions where the donor lacks, or the donee reasonably believes that the donor lacks capacity. The key point to note here is that a person’s age or behaviour are not the deciding considerations to conclude that a person lacks capacity. For example, just because the person is 90 years old doesn’t mean he/she cannot make decisions. Is there a maximum number of donees that you can have for an LPA? For the LPA Form 1, you can have 2 donees and 1 replacement donee. You can indicate a replacement donee if you have concerns of your donee passing on before you or losing capacity. Jointly and severally: The donees can act together or individually in all matters. Both types of decisions are valid. A donee can act without consulting the other donee(s). Some matters jointly and other matters severally: where you specify over which areas of your life you wish the donee to act jointly and which other areas, severally. For example, you may wish your donees to act jointly for matters concerning your finances where both their signatures are needed before a financial transaction is made on your behalf, however for issues like your medical treatment, you may be fine with your donees acting severally where either one of their signatures is sufficient for consenting to your treatment. If you are a donor, you can revoke a done and vice versa. Simply inform the Office of Public Guardian and pay an administrative fee. These changes can still be made if the donor has the mental capacity. What are the limitations of the LPA? Can it be negated by say, the bank’s own rules to prevent the donee from managing their loved one’s accounts and finances? Once the LPA form is signed, a donne has the right to obtain information (including confidential information) about the donor and/or his accounts from third parties. He/she also has permission to third parties including (but not limited to) the Central Provident Fund Board, banks and financial institutions, insurance companies, healthcare institutions and workers, to release information about the donor and his accounts to the donee or any third parties as authorised by the donee in accordance with the authority conferred on the donee. Also, the law states that a person dealing with a donee in matters relating to the donor’s property may require the donee to produce a certificate from a registered medical practitioner stating that the donor lack of capacity is likely to be permanent, and if the donee fails to produce such certificate, the person may refuse to accept the donee’s authority to make decisions for P in such matters. This basically means that you may need to produce a medical report on the donor’s mental capacity even with the LPA. This is a safeguard measure and it allows for precautionary measures over the donor. For example, if someone goes to bank and ask to withdraw funds from the donor’s account and the donor is not with him, the bank has a duty to be cautious in such situations. They have the right to ask for medical report. What happens after my loved one passed on? The first thing a lawyer will ask is if the person has a will. If yes, then there will be the extraction of letters of probate and the executors would then carry out the wishes as stipulated in the wills and administer the estate. If the person doesn’t have a will, then the estate will be divided in accordance with the Interstate Succession Act. However, under the Mental Capacity Act, there is something called a ‘statutory will’ where the Court makes a will on behalf of a person in circumstances where the person does not have the mental capacity to make the will for themselves. The person could have expressed his feelings on how he would like his assets and properties to be distributed after his death in letters or emails but did not have the chance to make a will. The Court is able to take the wishes and feelings of the person into consideration should it deem fit to making a statutory will on behalf of the Patient. For some people dementia, especially during the early onset of dementia phase, they could be experiencing frustration and anxiety. While they think that they still can make decisions, the family members may disagree, leading to arguments. In scenarios like this, it may be good if all parties can consider mediation. Mediation is a quick and effective way of resolving disputes. It involves an independent third party – a mediator – who helps both sides come to an agreement. In Singapore, mediators are trained and accredited under different schemes. Some examples of mediation centres are the Singapore Mediation Centre, Harmony Mediation Group and Eagles Mediation & Counselling Centre. Setting up an LPA is not exactly a thing that people will think of doing and it almost feels like it is taboo to talk about it since we are talking about losing mental capacity or mortality. In a way, we can look at LPA as an insurance as insurance helps address questions on mortality as well. In this case, instead of receiving a financial pay out from your insurance, you get a peace of mind knowing your affairs are in order and also, alleviates the stress and difficulties faced by your loved ones should you lose mental capacity without an LPA in place. Have a legal question on the Lasting Power of Attorney? If you wish to get advice for matters on wills, probates & trusts, you can get a Quick Consult with Chong Yue-En or any of the lawyers with similar expertise for a transparent, flat fee of S$49. You can expect a call back within 1-2 days on the phone to get legal advice and have your questions answered. This article is transcribed from the FB Live session by Asia Law Network and verified by Chong Yue-En from Dorothy Chai and Mary Ong Law Practice. Sharon leads Client Success at Asia Law Network. 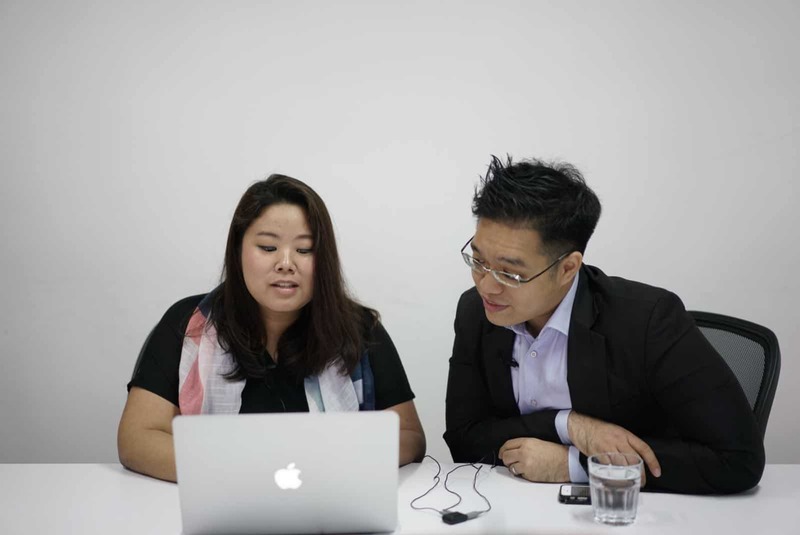 She also supports marketing operations and writes legal content for Asia Law Network.